Six months ago we had a crazy conversation with Adobe: What if we could bring together their amazing creative community and our impactful products to create something that would really move the needle on hunger this holiday. The idea stuck, and soon after, we were putting out a call to art directors, copy writers and designers to compete to create FEED’s holiday campaign, in what Adobe named the Make It Challenge. The creatives were expected to concept, pitch, shoot, produce and design FEED’s holiday campaign in just seven days. Sevendays. 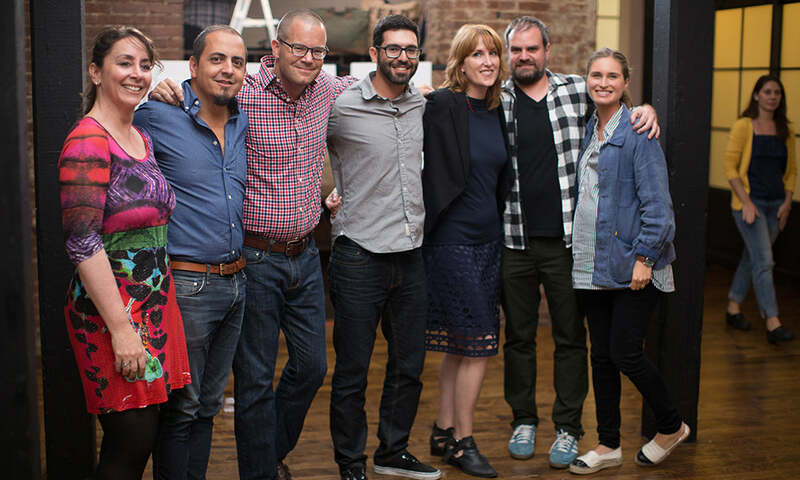 The six art director and copy writer finalists were flown to New York to be coupled into three teams of two. After the initial concepting and pitching, only one team would be asked to move forward with production of their idea. Intensity (and incredible creativity) ensued. Once the finalists arrived in NYC, we wasted no time putting them to work. Our marketing team presented a creative brief, honing in on the soul of our brand with FEED's customer (you) at the center. We told them that the stakes were high, since every product sold through the campaign would ultimately provide more meals to children and families in need. 48 hours later we were taking in their campaign concepts next to a panel of judges we had assembled to help us choose a concept that married fashion and impact in a way that felt true to FEED. It was important to us to have a breadth of expertise on the panel ranging from print (InStyle’s Ariel Foxman) to digital (Jamie Beck of Ann Street Studio) and everywhere in between. After hearing all the amazing ideas from the creative teams, it was up to the panel of judges to choose just one team and just one of their forward thinking concepts. We used up every second of deliberation time, and even though we each saw potential in all three teams, we agreed there was a clear winner. This final team then embarked on a whirlwind weekend bringing their idea to life. Across multiple locations in the city, juggling various models and participants, and replete with direction changes and reimagining, the team designed, shot, and produced an entire campaign in just 48 hours. We are so proud to share the final concept, Follow My Lead. FEED, with all of you this week. The concept centers on the truth that, in the fight to end hunger, anyone can be a leader by wearing FEED. Within the campaign, we’re telling the stories of real women and men who care about making the world a better place, but also care about looking great and inspiring people while doing it. We loved the storytelling that came out of it. Stay tuned for in-depth features on some of our “leaders” throughout this month. Oh, and did we mention that the entire Make It Challenge was filmed by Adobe for a "docu-style" mini-series? Well it was. And the episodes are kind of addicting. We will be unveiling the videos on Twitter and Facebook, but you can watch the episodes as they are released on Adobe’s Create platform, here.